Statement: A hose tube is an everyday tool, but every time water runs inside it, the hose is active and seems live for me. I wanted to convey this sense of the material's aliveness to the audience, and decided that an object, Evergreen Harvest, made of hose tubes that has a life within itself. This image will be replaced by the Shunpike professional photographer shortly. 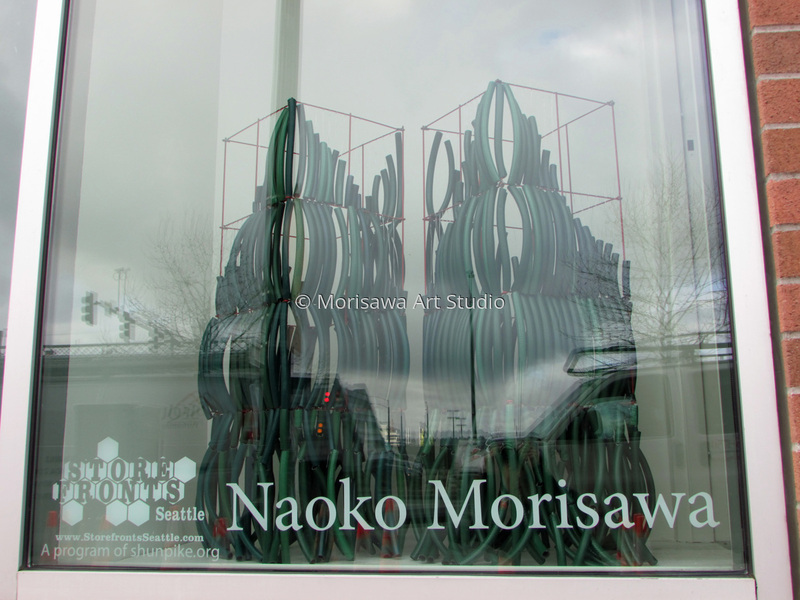 The work is re-arranged in 2017-18 and currently shown at Edmonds community College Gallery 2019.